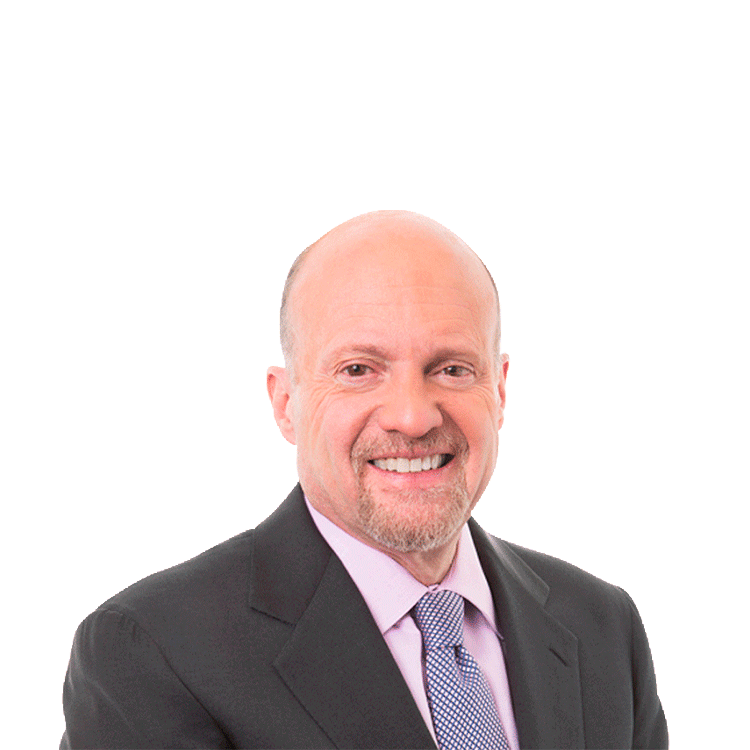 Jim Cramer shares his views on retailers and restaurants, and the FANGs. Ralph Lauren, Michael Kors, Facebook and Amazon.com are among the stocks discussed here. What's Ailing Retailers and Restaurants? Alarming. That's the only word that comes to mind when I think of the restaurant and retail group right now. When Action Alerts PLUS portfolio holding Costco (COST - Get Report), COSTCO!, disappoints as it did yesterday, with its +5 comps when the Street was looking for just a little better than that, gasoline adjusted, you better believe that things are anything but OK in retail land. When almost every restaurant save Bojangles is imploding in front of our eyes, you know that something's very wrong for the dining out crowd. When Ralph Lauren (RL - Get Report) is squeezed up huge, though, the money comes back into apparel. And when Michael Kors (KORS and Kate (KATE are so beaten down that they rally on so-so numbers, the buyers come right back -- ultimately, I believe to be disappointed again. You would think with gasoline so low, with inflation relatively tame and with employment robust enough to support 18 million vehicles, coupled with still ultra-low mortgage payments, this would be a time to shine for these two important consumer groups. However, that's just not panning out. What's ailing the groups? I have a few theories. First, I think that health care costs, the need to pay for health care coupled with higher premiums, have taken out about as much as gasoline might have put in. Second, when it comes to restaurants, the prices have gone up for most items to cover ag complex inflation, and they have stayed up even as they should be coming down. Third, everyone is scared of higher wages for workers. It's in the news, it's on the conference calls and it is undeniable. So you have that unholy combination of higher wages, higher costs and less traffic. That's what's really happening to Whole Foods (WFM and it is also what's happening to all the casual dining places. It's a huge headwind. Then you have the weather. There are so many warm weather clothes in the stores right now, and there's no cold snap to entice buyers. It's truly a difficult situation that will lead to discounts at the worst possible time, the holiday season. Finally, there's Growth Seeker portfolio holding Amazon.com (AMZN - Get Report). That stock's going higher because it is the sum of all retail fears, a zero sum game against everyone else in the category. The restaurants are immune, but people are just staying home. They aren't going out. Not to eat. Not to shop. That combination is what makes for deadly numbers. Don't I know it. I have waited for ages and points for Jack in the Box (JACK - Get Report) to come down because it has really good numbers. Then, when it finally dropped 10% for the year, I picked some up for my charitable trust. Then it got the true windfall that you can only dream of: the Chipotle (CMG - Get Report) e-coli problem that should boost its Qdobe division. What happens? Hammered again. Just dreadful yesterday. So bad that anyone looking at it just has to say "it doesn't matter, these dogs won't hunt." I feel the exact same way about Macy's (M - Get Report), which I felt was attractive below $50 after having been at $72 this past summer when we got a Delivering Alpha presentation from Starboard, the activist firm, that made me feel it could be worth a heck of a lot more if it REIT'ed, the way Darden (DRI - Get Report) did. Now I think it doesn't matter. The warm weather won't let it lift. At a certain point these two groups will get too cheap to ignore. But one thing is for certain: we are not there yet! At the time of publication, Action Alerts PLUS, which Cramer co-manages as a charitable trust, was long COST and JACK. It lives because each letter -- Facebook (FB - Get Report), Amazon.com (AMZN - Get Report), Netflix (NFLX - Get Report) and Google (GOOGL - Get Report), now Alphabet -- is flying just as it should be because FANG represents the best that we have. When I created the acronym not that long ago I have to admit the one I was most worried about was Action Alerts PLUS charity portfolio name Facebook, not because of its high price -- the multiple here is less than 30x 2017 earnings, ridiculously low for a company with 41% revenue growth. No, I was worried because I wanted to be sure the investment spending was paying off. Silly me. Who was I to doubt Mark Zuckerberg? Who was I to think that $19 billion was an overpay for What's App, when it has 900 million users? Who was I to doubt the $2 billion purchase of Oculus, when it is clear that Zuckerberg intends to dominate the gaming category, with 250 million users and growing faster than just about any other cohort? But I was simply taking my cue from the headline writers and the bears -- never a wise sign. Now, the bears are still growling about spending. But that's because they just don't get it. They are like the Golem, there but not listening. What do I mean by that? Consider this soporific headline from today's Journal on this truly blow-out quarter: "Facebook Earnings Rise Despite Higher Costs." Wrong! Facebook's earnings are rising because of higher costs. As the pithy Chief Operating Officer Sheryl Sandberg says several times in the call in different ways: "we invest." That's what they do. They spend $3 billion, a 63% leap year over year, on what it takes to be great because "in the end our quality today is our revenue tomorrow." Quality, she explains, comes from investment, investment in the best people, the best ideas, the best companies. That quality allows the company to get the best code writers out of Stanford, Harvey Mudd and Caltech, the people with the DNA to be able to cut it at Facebook. Anyone on the call last night can't help but remember the initial calls out of the chute when Facebook came public, dismal calls about obscure advertisers, gaming companies, advertising on the site to get some meager customers. It was all about Zynga (ZNGA - Get Report) back then. Now it is about Procter (PG - Get Report), Clorox (CLX - Get Report), and in one fabulous example on the call, Ikea, where a $35,000 investment in a Facebook campaign produced $2 million in online sales when the stores were physically closed. Direct response? Branding? How about return on investment through education and knowing the customer. Facebook is the way to get in touch with people. Or, does anyone remember when Zuckerberg remonstrated about his failure to see mobile coming? Now 1.3 billion of Facebook's 1.58 billion users -- about a fifth of the world's population -- check their Facebook on mobile. And those aren't idle users: a billion people check their Facebook once a day. That's how you get that 41% increase in revenue. That's how mobile now produces an astounding 78% of the company's total advertising revenue, a staggering 73% increase in one year. So much for not knowing mobile, which helps more than 2.5 million active advertisers. And that doesn't even include much of what revenue is about to come to Instagram. And there's no ceiling in sight. American adults, we learned, spend 25% of their media time on mobile -- a minute every five minutes on mobile -- and advertisers are just catching up to that total, which includes eight billion daily video views that can, one day, be advertised against in tasteful and subtle ways, the only ways they allow. You know that old joke about advertising, that half of the people look at the ads, we just don't know which half? Look out all other forms of media, that doesn't apply to Facebook. We know which half. Consider the concept of groups that connect on Facebook, something that's talked about early on in the call. Did you know that 925 million people now use groups every month? That number is manna from advertising heaven. As usual, the users don't even know it. My wife belongs to "What Would Virginia Woolf Do," that involves what they call "women of a certain age," chiefly those in their 40s and 50s. When I asked her does she ever click on any ads, she told me she didn't, even as she found herself clicking on a targeted Oil of Olay ad, a terrific video that she didn't even regard as an ad. That's user engagement. That ads to recall and makes an advertiser known to a perfect cohort, one that discusses every woman's issue, from jobs to menopause. You want to advertise on some stagnant Time Warner (TWC cable channel that's losing viewers and can't even tell you who is really watching? Or do you want to target women of a certain age with ads that hit them in the breadbox? Time Warner isn't losing viewers to cable cutters. They are minuscule. It's losing viewers to Facebook and the advertisers, like Clorox, which are spending a huge chunk of their advertising budget online, a lot of it on Facebook. Oh, and you think they don't have women of a certain age in India, where one billion people don't have internet, but a big portion of that internet-deprived group is about to get it because India knows that an internet-fed populace is a smarter populace, a worthy goal of that amazing country. China? Good look communists trying to stop this one. It's a force that's bigger than the party. Yep, with all of these weapons, Facebook is pretty unstoppable right now and might be for years and years, with investments in Instagram and What's App, which I now believe they stole for $19 billion given its phenomenal growth rate and greenfield for advertising. Facebook is part of the unstoppables that make up FANG. You want to know what's putting Whole Foods (WFM on the run and causing Wal-Mart (WMT - Get Report) to stutter step to nowhere? The A, Growth Seeker portfolio holding Amazon.com. Sure, Whole Foods has to worry about Target (TGT - Get Report) and Wal-Mart and the other natural and organic stores. But instant delivery of those offerings via Amazon is the real enemy. The buying club that is "Prime" makes it all worthwhile. Remember when Netflix bemoaned that domestic growth was slowed by credit card changes, the ones that sent the stock to $97 from $115 in a heartbeat? Looks like it is, indeed, a temporary phenomenon, and that bridge is now being crossed, hence the inexorable run to new highs. And Alphabet, with is anomalous Google stock moniker? Until the split into Google and Pastiche, or whatever you want to call the lab of new things, you didn't want it to spend. Now it can invest all over the place and still show you how much money it can make. Talk about early innings. YouTube's not even at the plate yet. That company may turn out to be the most lucrative of them all, if it can figure out how to be the television channel to the world. It would be foolish not to go for the international NFL contract that's now about to be let. A 9:30 start time here it is not so hot, but that can translate into prime time in Asia, the big kahuna market no one is talking about. Everybody likes entertainment and everyone loves a bargain. No one really likes to shop unless it is totally experientially fabulous, like Restoration Hardware (RH or Starbucks (SBUX, where you do shop for coffee. But these? All at your fingertips. All based on mobile, even as they didn't know it. All seamless. And you find them all in one place: FANG. Non-fangers in retail, media, and entertainment and finance? Eat your heart out. FANG's ready to sink its Fangs into you. Once in, it never lets you go. At the time of publication, Action Alerts PLUS, which Cramer co-manages as a charitable trust, was long TGT, COST and SBUX.